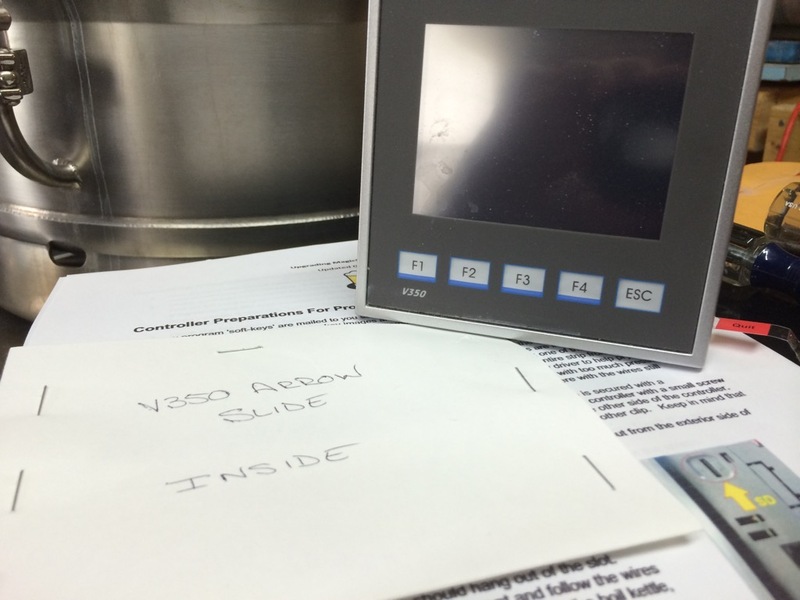 When I heard there was a software update coming for the V350, I contacted Brew Magic. This was back in February. It took a bit of time for them to determine the best method for distribution, understandable as it requires more than just inserting a SD card.There is also a wireless network upgrade, that I chose not to get. So. Confirmation comes in the form of a Dropbox link in an email. Inside that link I find 2 pdf documents, and a .C35 file. One PDF is the instructions for installation, and the other is the new MagicSoft operations guide. I was also informed that new “keys” were coming in the mail. So I waited. Hint: Dropbox links expire. You should go ahead and copy over the files to a safe place on your computer. Next, I printed out the installation instructions and reviewed them. 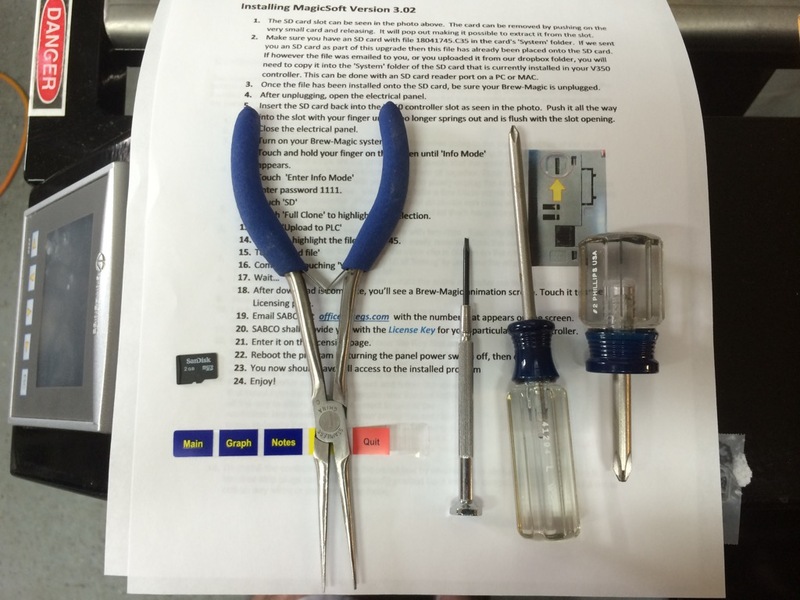 After opening the V350 service door, I noted the positions of everything and gathered a few tools. Unplug the V350. The space around the computer (PLC) is fairly tight, so I opted for both a standard and short Philips screwdriver. Here you should follow the instructions fairly closely. The pliers are useful to reach the little tab for the arrow keys. The rest should be self-explanatory. 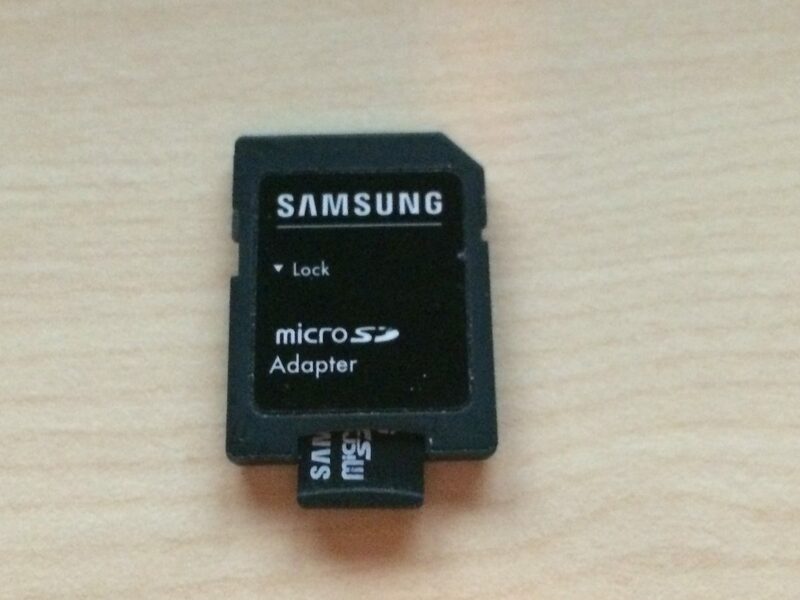 Note: you will likely need a MicroSD Adapter. 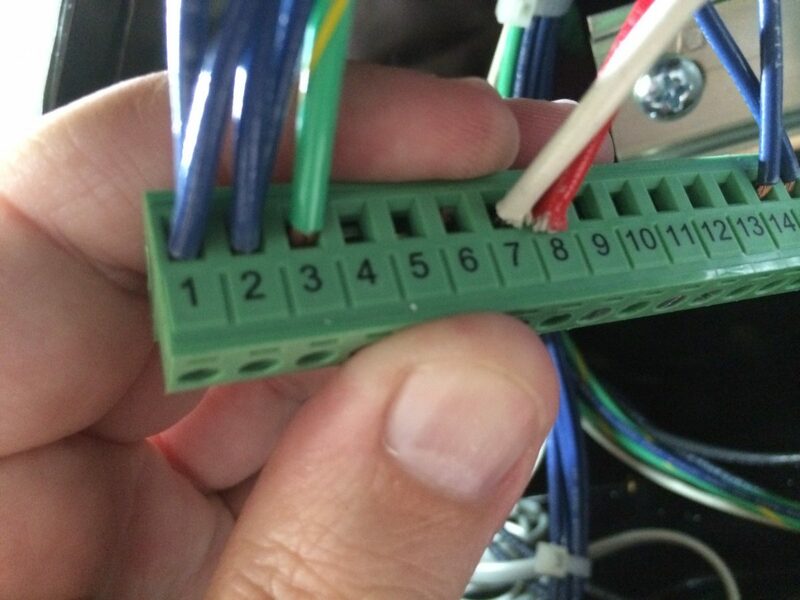 First, you need to remove the green wirestrip blocks at the top and bottom of the PLC. These should be firmly in place, and I needed to use a flathead screwdriver to very gently pry up the blocks. Wire Blocks, gently pry up from the PLC. Once free, you can let the wires hang there. Don’t remove any wires from the strip. 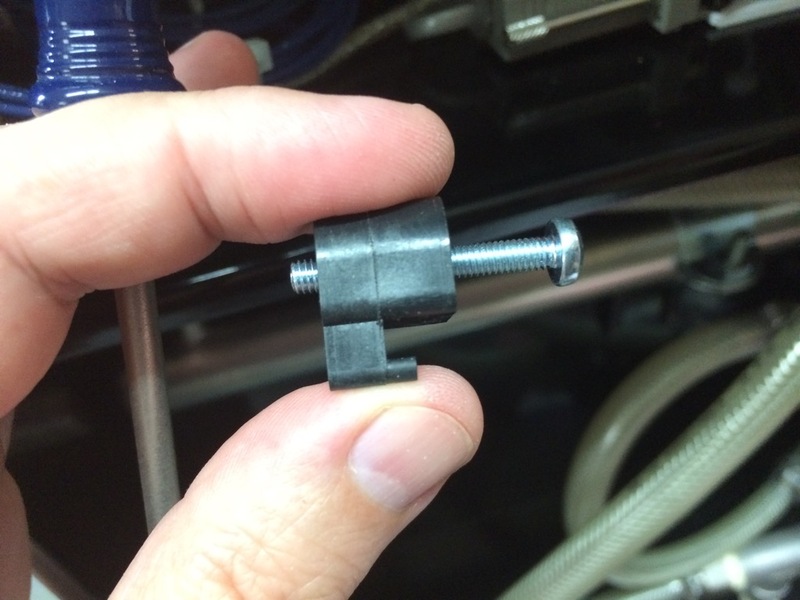 There are little pressure clips that hold the PLC against the frame. These clips are removable by releasing the screws and pushing up towards the screen. They take a fair bit of wiggling so go slow. There are two, the one in the front is easy. The back one, not so much. These clips can be a bit tricky, but work to hold the PLC against the box. The inside clip is invisible from the front. Go by feel. I found the shorty philips screwdriver worked best, with the other hand holding the clip. Once both clips are removed, you can remove the PLC from the V350 through the screen side. 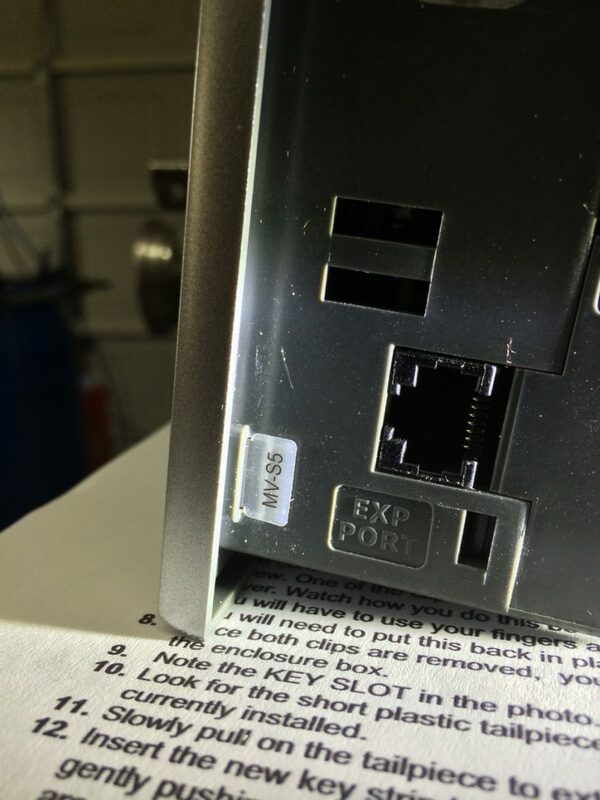 HINT: Here I ran into a surprise, there is a RJ12 wire connected… looks like phone line that leads to a serial converter. 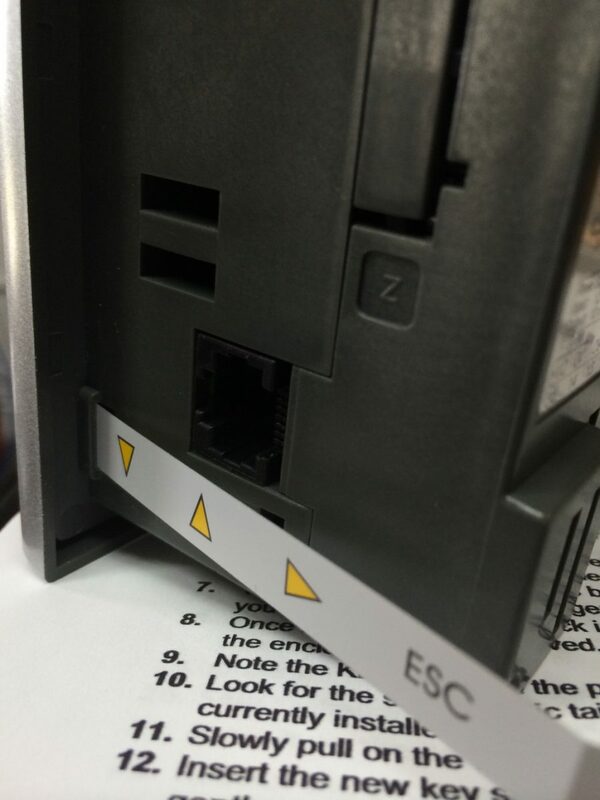 This has to be disconnected before the PLC can be removed, and is on the back side. Takes a bit of groping, but it clips out easily enough. The new strip, now taken out of the cardboard, now goes back in. I found I needed to give the slightest bend to the end of the key strip to get it to slide in. A little wiggling, again gently to keep it from tearing, and it slid right inside. The Arrows now operate like a mouse to navigate the new software. 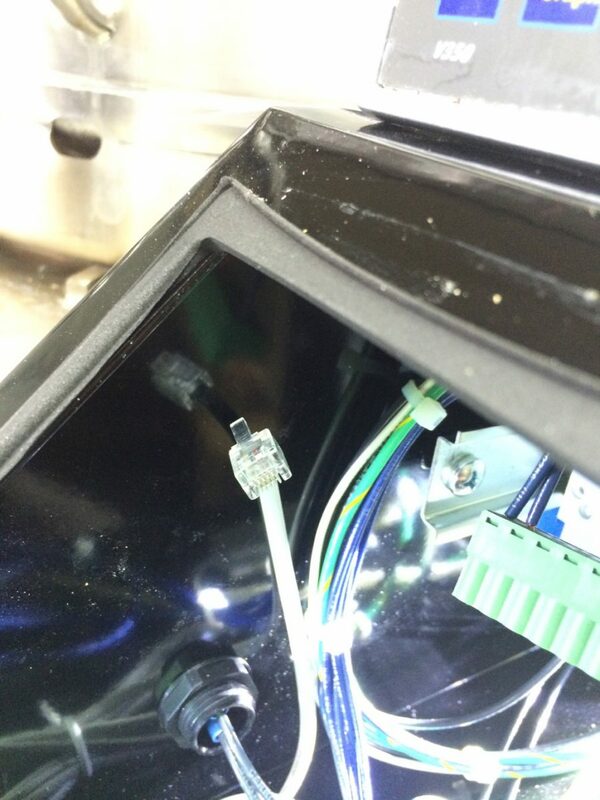 While the PLC is out of the chassis, it is a convenient time to remove the MicroSD card from the slot. The slot in an indented area. You may need to use a fingernail to press into the slot slightly, releasing the card. It should come out far enough that you can easily extract it. It is important not to place the MicroSD near anything that might spark or be magnetic. Also – do not touch the exposed metal contacts. The instructions will now ask you to follow the wires from the thermoprobe into the wireblock (terminal strip) at the top. “If your probe has only two wires, re-locate their terminal positions to the following strip locations.” Mine is such a case, so I had to move the wires from their original positions. 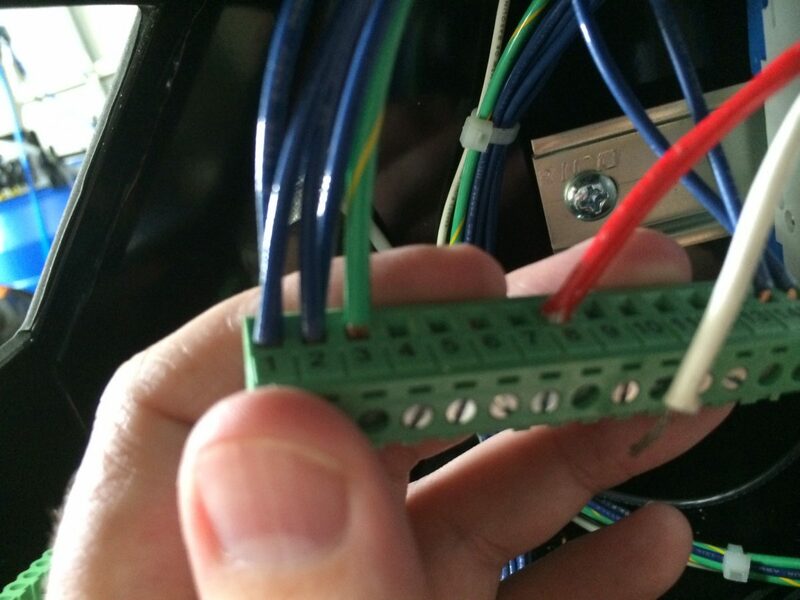 At the back of the wiring strip are little screws that clamp the wires into place. Carefully release the wires, and insert into the proper position. You will need to tighten the screws for the pin position until the wire stays put with a tug. Confirm that the wires are properly installed and correctly seated. 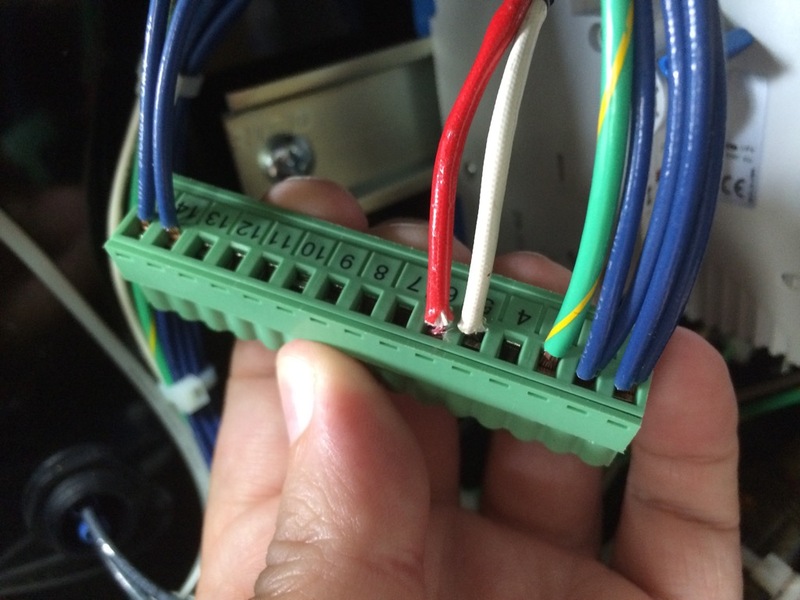 Then you can place this wiring strip back onto the PLC. Make sure it is seated firmly with no space left on the lip of the block. 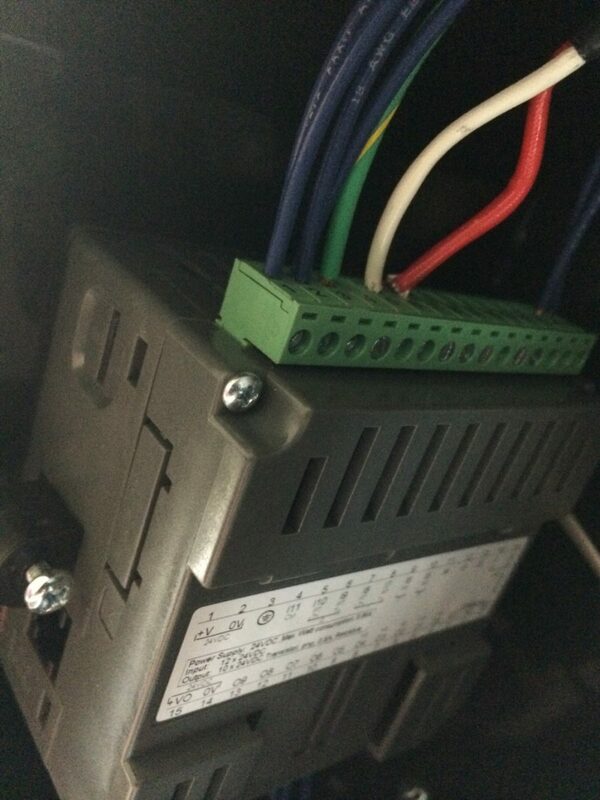 Replace the PLC into the chassis, reversing the instructions. 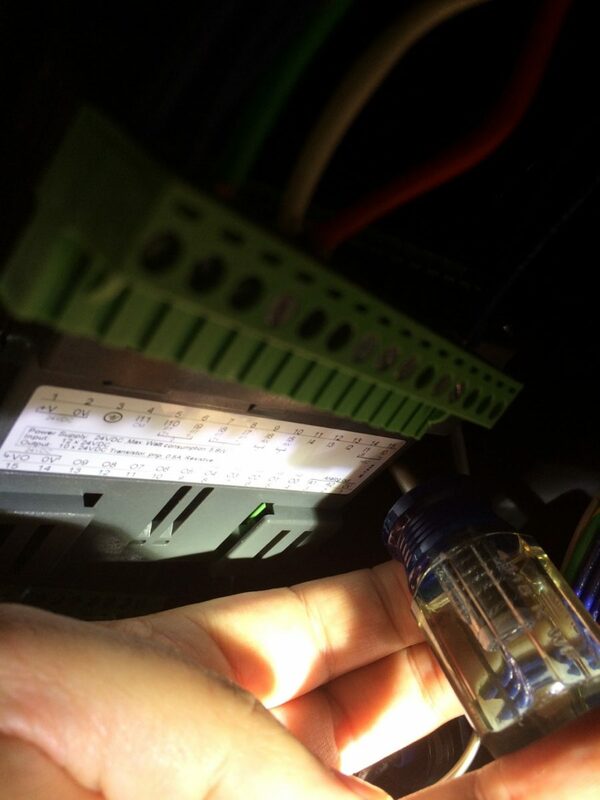 Install the PLC with the clips, ensuring that a tight fit against the chassis prevents the unit from moving. Don’t forget to reinstall that RJ12 connection. 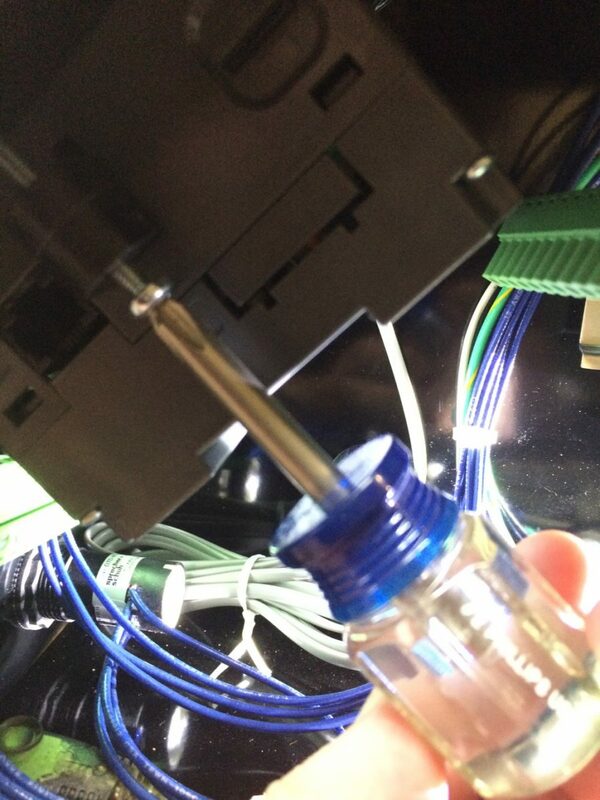 The PLC has to be installed in the chassis to reseat the wiring – the fit is too tight. Replace all of wiring blocks and make sure they are properly seated. It is time to move into the office and the computer. Neither my Mac nor Windows computers have MicroSD card support. Fortunately, I had an adapter for use with a camera lying around. Slide the MicroSD into the slot on the bottom. This should now fit into the port on MacBook Pro or SD card reader. Once you have the SD card mounted, there is a folder structure you can access on the disc. Do not reformat this card! You should see a folder named “SYSTEM” – and will copy over the file with the .C35 extension. There is an 8 numeric character file name with the extension. The real file name in the instructions I received was wrong. Once the file has been copied, properly dismount the card. Then physically remove the card from the computer or SD reader. 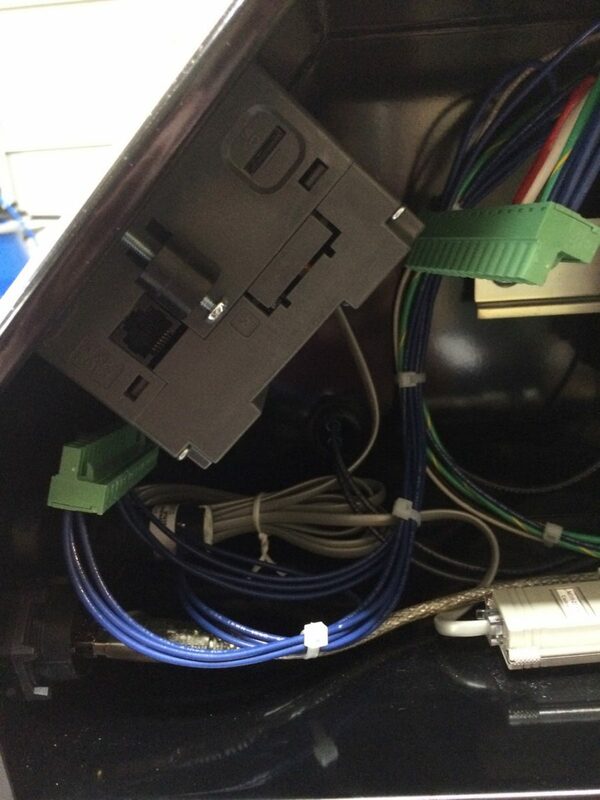 Then, carefully remove the MicroSD from the adapter and replace it in your PLC. You will push it in gently until you feel a slight click and the card remains flush with the surface of the port. 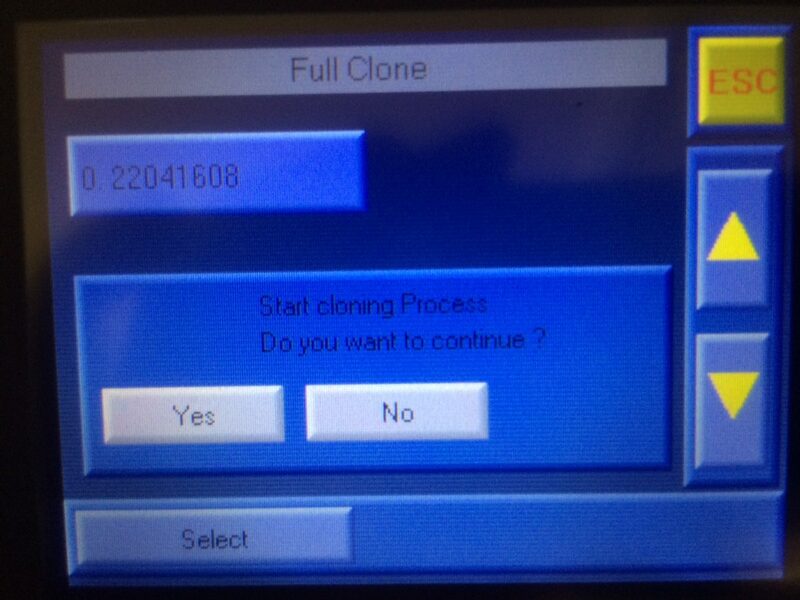 It will take a few minutes to “clone” the software you put onto MicroSD card onto the PLC and it will reboot. After the animation screen, you will need to go to the licensing page and contact Sabco. They will give the license key, and after entering it – you restart the V350. Notes: There are always catches to these things. 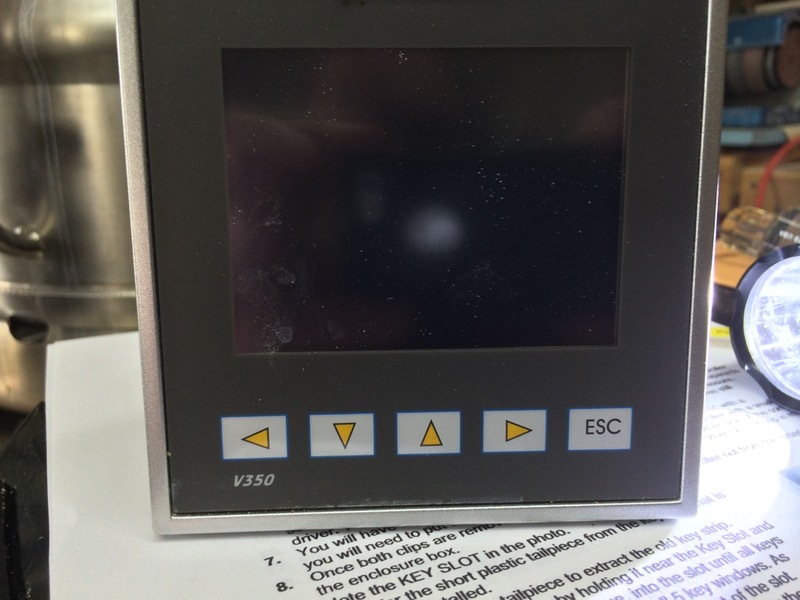 Not all V350’s are identical, either in PLC firmware and OS nor in specific internal hardware elements. For example there are at least two versions of thermoprobes that have been deployed. In my case, I was not able to clone, and was forced to ship the PLC to Sabco for update. 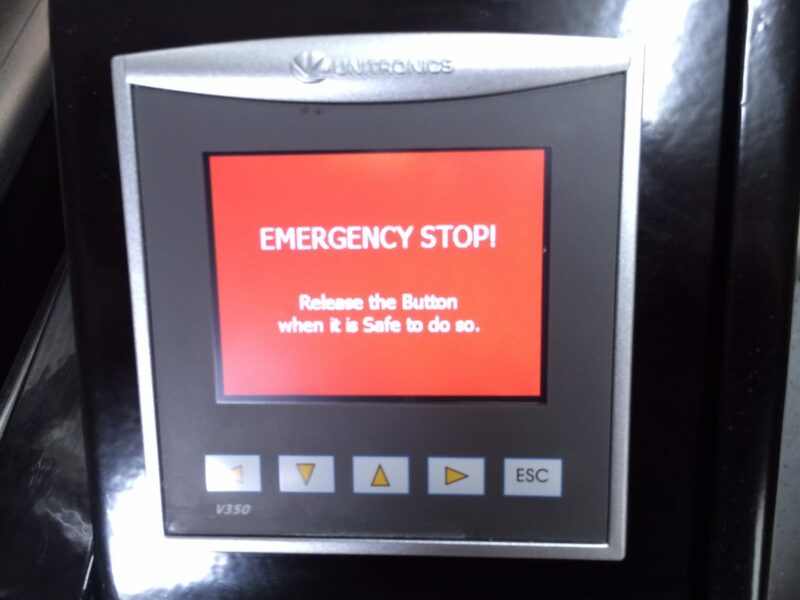 You should plan at least a week and half to turn around the PLC if this happens… or be frustrated at the lost brewing schedule. 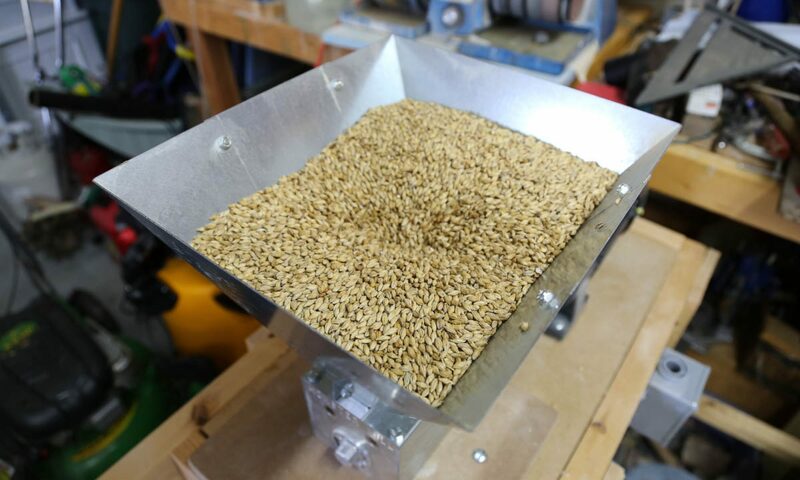 I plan to brew in a week or so with the new software. It will be a learning experience, and appears to be a bit more involved that the old way. Certainly the new buttons and indicators will take some getting used to. I plan to write-up a comparison after that brew.